5 Beauty products I’m dying to try! I’m a sucker for makeup and beauty products. Every time a new product, makeup innovation or GWP hits the shelf, I feel the need to buy it. So over the last couple of days, after doing some intense research i.e. scrolling through my Twitter TL and IG feed, I’ve created a list of the beauty products that I am just itching to try out. So here goes..
I’m a Smashbox fan, always have been and always will be, so when I heard that this product will be hitting South African shores, my heart skipped a beat and I could already hear it calling out to me. I’m not sure if it is already in-stores or will be shortly, but either way you’ll be able to get your hands on this one before the end of the year – I’ll be heading over to the mall this weekend to locate this beaut. 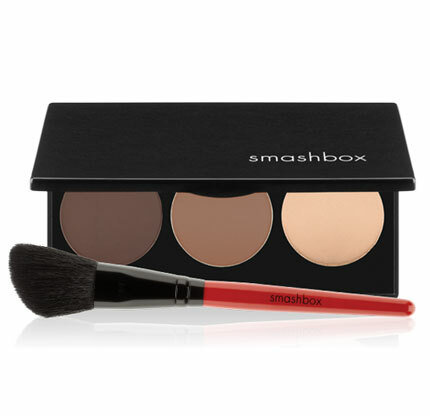 This contour kit has 3 powders – one for highlighting, one for contouring and another for bronzing the skin and has been a favourite amongst makeup junkies. The kit includes a very handy angled brush that ensures a flawless application. Here’s hoping I find it this weekend! This product just seems like an all-in-one to me. You can use it as a bronzer, blusher and even for illuminating your cheekbones and Cupid’s bow, so you can see why I want to try it out. I love that the powder is in the formation of pearls, that way there is less wastage than with a normal powder. I might even pair it with a BB cream to achieve that sun kissed glow which is perfect for Summer. To be totally honest, I haven’t purchased anything from Lush. Okay, stop with gasps now! It’s not because I don’t enjoy their products or that I’m not a fan, it’s just that every time I go to Gateway, I promise to make Lush my last stop but at the end of my shopping trip, I’m so exhausted that I just want to go home. BUT, I think this Santa Lip Scrub might change things for me. I’m all about keeping my lips soft and smooth and since I’ve only heard great things about the other Lip Scrubs from Lush, I’m pretty sure this one will not disappoint. By the way, I am totally in love with the rich red pigment of this scrub and the fact that it’s Cola flavored makes me want to try it out even more! 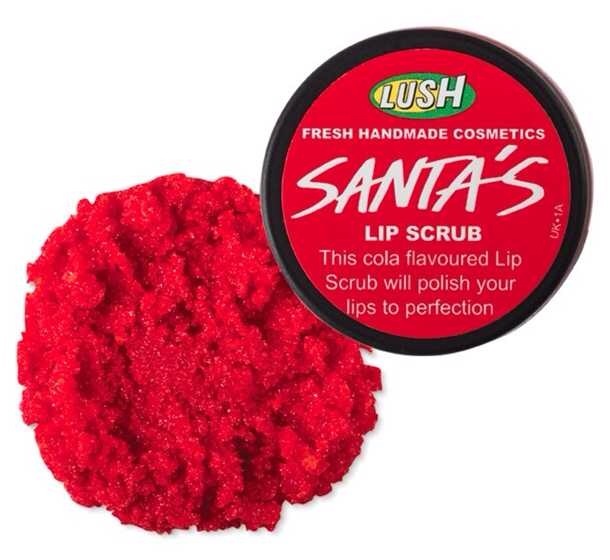 And since this scrub is part of their Christmas collection, I guess I’ve got to make a trip to Lush very soon! And oh yeah, you can get this gift set from Kalahari for just R477! Yup a saving of just over R3oo! Check it out here! There’s been all of this hype about face brushes, so now I want to try one too. Unfortunately, every single time that I visited a store for the Sorbet one, there wasn’t any available – yeah totally frustrating! And I only recently discovered that Olay has one too, so I might end up getting theirs, if the Sorbet Facial Cleanser keeps on playing hard to get. I just need a face brush to cleanse, exfoliate and smooth out my skin, so I’m sure either one of these two will make me happy. Hi, I just ordered the Olay one today only to see the Sorbet one at Clicks at a cheaper price (more value for money considering it comes with three different brushes whereas the Olay only has one option) 😦 Did you end up purchasing one and how is it treating you? Hi there 😊 Unfortunately, I haven’t been able to get my hands on the Sorbet Facial brush – my nearest Clicks never ever has it in stock! How’s the Olay one treating you?